Sometimes a novel can benefit from a little less action. You often find that the best bits of books, films, plays or sitcoms are the parts near the beginning where nothing much happens, the calm before the storm. I like these quiet moments because characters still have room to breathe before becoming subject to the constrictions of the plot. Scriptwriter Simon Nye always gave Gary and Tony a bit of dialogue on the sofa in ‘Men Behaving Badly’. 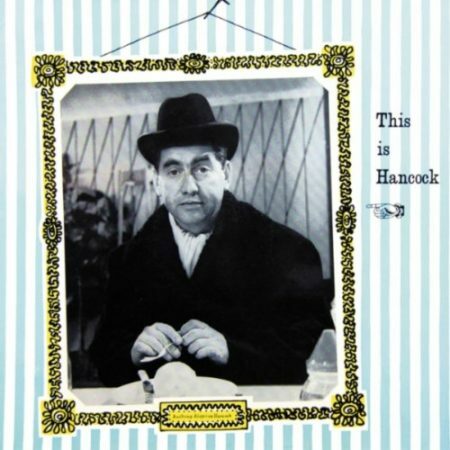 The scriptwriters Galton and Simpson excelled at timewasting in ‘Steptoe And Son’, but their masterpiece is ‘A Sunday Afternoon At Home’, which they wrote for Tony Hancock. Absolutely nothing happens for half an hour; the episode is a small miracle of economy and timing. I’ve always wanted to write a novel in a similarly minimalist style. The UK’s modern master is, I suppose, Magnus Mills, in whose books virtually nothing happens at all. But underneath the surface are ideas about the impossibility of controlling human behaviour; nobody ever does what is expected or demanded of them. Charles Dickens always seems the busiest of writers and it’s occasionally to his detriment, because you long for a lacuna in all the breathless action. Jane Elizabeth Howard took the art of stillness to some kind of ne plus ultra in ‘Three Miles Up’, a story which gradually becomes so calm and still that it terrifies by echoing the stasis of death. 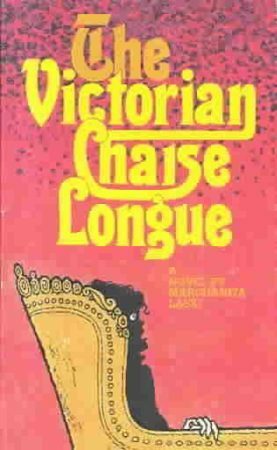 This stillness becomes panicked paralysis in Marghanita Laski’s ‘The Victorian Chaise-Longue’. Melanie, a young mother recovering from tuberculosis, is moved from her bed to a chaise-longue purchased in a junk shop. Falling asleep, she awakes in another sickened body in an earlier time, surrounded by solicitous strangers. The sights and smells of the Victorian era are seen through her modern senses as she tries to understand her plight. The connecting bridge between the two eras of 1953 and the mid-1800s is the chaise-longue itself, but Melanie cannot return because her earlier failing body keeps her trapped in the chair, and she is equally held in place by the repressive patrician attitude of the times. As her husband peers into her face looking for signs of life and seeing none, and others try to help but fail, we come to appreciate that she would have been trapped whether she’d been well or not. The fable is eerie and disturbingly open to interpretation, and although two television versions were produced the novel has largely been forgotten. A disturbed emotional state can be more intriguing than a physical dilemma. 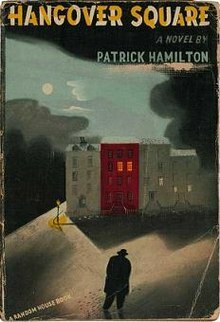 For most of Patrick Hamilton’s ‘Hangover Square’ nothing happens – we’re caught in a cycle of drinking and borrowing money until George Bone, who suffers from a dissociative disorder, finally rebels against the manipulative Netta and attacks her. The book is a masterclass in tightly ratcheted menace. An episode of Porridge, A Quiet Night In, is splendid. It is set in the time between being locked in the cell and lights out, nothing much happens but it is wonderfully funny. I agree with the Hancock episode. Ramsey Campbell’s Midnight Sun is an atmospheric tale in which not a lot happens. Recommend. You’re right. In one of the best episodes of the American sitcom All in the Family (based on Till Death Us Do Part), Archie Bunker (think Alf Garnett) accidentally locks himself in the basement with only a tape recorder and a bottle of vodka to keep him company. I remember seeing’ The Victorian Chaise Longue ‘ on television, it definitely awakened my long time interest in horror tales. I was terrified as a child to see that an old piece of furniture actually trap a person and take them to a previous owners world. I felt the previous woman was a victim and her husband had murdered her. A haunted sofa.. .
One of the television versions of ‘The Victorian Chaise Longue’ is on YouTube (in poor quality). with Joan Fontaine and Marian Seldes. A superb stage example is “Jeffery Bernard is Unwell”, where the protagonist finds himself accidental locked in the Coach and Horses pub overnight. Based on a real person, a real pub, and an apocryphal incident that, nevertheless, has the ring of truth about it for anybody who knows anything about Jeffery Bernard. I’ve loved pretty much everything Magnus Mills has published since buying an abridged audiobook of Restraint of Beasts (read I think by Peter Capaldi). Forensic Records Society is short but extraordinary. As for tv I’ve always felt that Detectorists has always had a bit of Magnus Mills about it.